Buying a car isn’t the same as it used to be. In the past, people went to several different dealerships. They had to walk around huge lots of cars in search of the one that was right for them. Then there were price negotiations, financing, paperwork and titles, and more. Understanding how much car you can really afford is also part of that process. That doesn’t work today. That’s why more people turn to the internet to find their next vehicle. It offers a level of convenience you simply don’t get from the old way of car buying. Carvana is one of the biggest names in internet car-buying. That’s why we’ve put together this article. We explain what the website does. We also look at the most important features the site offers. Finally, we look at what some of the best general review sites on the web have to say about Carvana. Use this to help decide where you want to get your next car from. Carvana is a very popular website for buying cars. The company began in 2012. They work to make buying a car an easier experience. The site offers all of the features you need to buy a car. You can do everything that you’d normally do at a dealership online. That means you can find a car, set up a trade in, and get financing all at the same place. The financing offers on Carvana benefit consumers because they allow for pre-qualification. That means car buyers can check eligibility with many different lenders. Moreover, pre-qualification doesn’t cause a hard check on your credit. Pre-qualification doesn’t mean you’ll for sure get the loan. But being able to check your qualification status and likely terms with many creditors at once saves you time. It also helps point you in the direction of the best deal. Once you know who’s offering the best terms, you can fully apply for the loan. The financing feature is good, but there are other places you can go to check pre-qualification for car loans. We’ve isolated the main key features of Carvana. You should compare these to other places you’re thinking of shopping for your next vehicle. That will help you find the best deal on a car for you. Carvana offers four key features. These features are all designed to eliminate the typical insecurities someone might have when buying a car online. That makes them a strong contender to be one of the better options for online car shopping. Carvana’s first feature is that they only sell certified cars. Every car has a clean accident report. Also, Carvana performs a 150-point certification process on every vehicle it sells. This promise should go a long way in reducing the anxiety of online car shopping. Many people worry that they’ll get a bad car if they can’t see it and touch it themselves. That makes sense, buying a car is a big decision. The certification process means that consumers can feel good that their vehicle won’t turn out to be a lemon. The certification looks at all of the vehicle details. That includes ensuring all of the features function. It looks for imperfections. It also checks for safety recalls. As a result, Carvana does a lot of work to assure you that you can trust their vehicle. The next features Carvana offers is virtual tours. They perform a 360-degree tour of every vehicle they sell. These tours show off the features of the car and let you explore every inch of it. That’s not all though. These tours also show you any flaws and imperfections with the car. This helps you fully understand what you’ll be getting. Everyone knows that sales persons can take photos in a way that hides flaws. Everyone also knows that something that’s too good to be true probably is. The 360 tour gives you an honest evaluation of your vehicle. No one expects a used car to be perfect. Understanding where the minor scratches and blemishes are lets you understand exactly what you’re getting. The tours are also a great way to explore each individual car. How a car looks on the outside is important. But you’ll spend far more time inside of it than you will spend looking at it. The total tour of the car means that you can clearly see how all the buttons and instruments are laid out. You can see what the dashboard will look like when you check your speed. This feature also lets you explore other important aspects of the car. You can get a good understanding of how big the trunk is. The same goes for the back seat. That way you can make sure your car meets your needs. Another interesting feature for Carvana is their option for delivery or pickup. The company will bring the car directly to you. You can also pick it up from one of their vehicle vending machines. In fact, Carvana will even cover up to $200 of a plane ticket for you to get to the machine your car is in if you pick it up. This gives you lots of options when it comes to taking possession of the car. Delivery takes some time. If you need a vehicle right away, you can pick the car up and have it sooner. You can also wait and let the car come to you if you don’t need it right away. The delivery or pickup options allows buyers to get their car on their schedule. That helps the service be convenient. The fact that Carvana is willing to chip in $200 to get you to your car is also pretty neat. It makes a lot of sense. After all, they’d probably spend more than that to ship it to you, even if you covered part of the shipping costs. The final Carvana key feature is their 7-day test own. The company offers a 7-day money back guarantee on every car they sell. If we’re honest with ourselves, the hardest part of buying a car online is that you don’t get a chance to test drive it. Even if you’re buying a car just for utility, you still want to make sure it feels right when you drive it. The internet can do a lot. But it can’t replicate the feeling of actually driving a specific car. The 7-day test own feature means you can see how the car works in your daily life. Then you can decide if it’s the right car for you. This policy shows that Carvana understands that buying a car online isn’t 100% stress free. Some people might even argue that this is better than a test drive. On a test drive at a dealership, you’re very limited. You drive around the dealership area and try it out. But that doesn’t tell you how it feels every day when you’re using it. Also, test drives are usually somewhat rushed. It can feel weird to have the salesperson in the car with out while you try out the car. Some people are also nervous. The 7-day test own lets you get a more accurate feel for the car. That means you can be more confident that it’s up to your wants and needs. We want to make sure you have all the info you could want when you’re thinking about a new car. After all, it’s a big decision. That’s why we put together summaries of some of the top reviewers on the net. This helps you save time. You’re welcome to check these sites on your own as well. But why spend the time when we’ve got the long and short of what they have to say right here. Carvana has a BBB rating of A+. 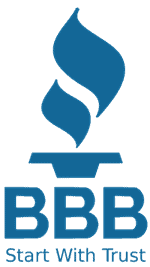 They’ve been accredited by the BBB since 2015. That means you can trust that Carvana doesn’t use any deceptive advertising. It also means they stick to the terms of their deals. Finally, they respond to customer complaints in a timely manner. Their responses satisfy the standards of the Better Business Bureau. The BBB also has customer reviews. Carvana has 13 positive reviews, 2 neutral reviews, and 45 negative reviews. That means 22% of reviews are positive, 3% are neutral, and 75% are negative. That sounds much worse than it is. Most people don’t bother to go to a site like the BBB to leave positive comments. That means the fact that there are any positive reviews is a good sign for Carvana. Therefore, 22% of reviews being positive speaks strongly for them. Moreover, the composite score for the company, based on those reviews, is a 3.99 out of 5. Yelp is an interesting place to look for Carvana reviews. That’s because the company doesn’t review Carvana as a whole. Instead, there are reviews of individual locations. Therefore, the reviews can vary widely. Most of the negative reviews of Carvana on Yelp focus on issues at a specific dealership. Very few people report issues with the company as a whole. There are some people that had a problem with their specific car. Most of the problems were minor and caused the reviewer to offer an aggressively low score. This makes the reviews look worse than they are. There are about the same number of positive comments as there are negative comments. This goes for every aspect of the business. Just as many people said that customer service was great as said they had an issue. The same goes for vehicle condition, satisfaction, etc. This speaks well for Carvana, as people are more likely to take the time to review something negatively than positively. Trustpilot is one of the biggest general company review sites on the net. They have hundreds of thousands of users. They also have reviews on all kinds of companies. That makes them an excellent place to get a feel for what people are saying about Carvana. Trustpilot gives Carvana 3 stars out of 5. This is based on 10 reviews. Of those reviews, 40% are excellent, 10% are average, 20% are poor, and 30% are bad. The score doesn’t do the reviews justice. It’s only made of an average for the stars given. But it doesn’t take the reviewer’s complaint into account. For example, one person gave them 1 star because they don’t like the business model and the prices weren’t much cheaper than dealerships. They didn’t buy anything from Carvana. Another person was upset that their credit wasn’t good enough to get financing through the site. These reviews don’t accurately grade the company’s service. Instead, they give an opinion of the company based on something unrelated to buying a car on the site. The reviews that are good don’t usually have these problems. They explain what they got and why they liked it. They also discuss aspects of the experience working with Carvana. That means they’re more likely to represent what actual customers think. Carvana offers several unique features that make them a good option for buying a car online. The combination of the certified vehicle program, virtual tours, the flexibility of delivery or pickup, and the 7-day test drive goes a long way toward eliminating the fears people have about buying a car online. We especially like the fact that they offer all of these features, while still accepting your trade in and helping you find financing. They even come and pick up your trade in. As a result, there’s much less hassle to go through. Buying from Carvana is also reviewed well by others. They have a good reputation with the Better Business Bureau. Like any company, there are some complaints about them. However, the number of negative reviews to positive reviews is actually a strong endorsement for the company. That’s true for all of the general reviewers we looked at. We encourage you to check out Carvana. They have a wide range of cars and trucks. They offer everything you’d want at a dealership. And they offer it all from the comfort of your own home. The following are frequently asked questions regarding the online-only used car seller Carvana. It is a relatively new start-up that has been really successful. Carvana is an online company that has a new business model for selling used customers to its customers, this section will explain the basics of the company. Carvana is a technology startup company. It sells used cars exclusively online where it allows customers to shop, finance, and trade in cars through their website. Carvana is completely online, meaning you can originally see the car with their patented 360 photo technology, get financing and buy the car online through them, and pick it up from them or have it delivered. Where does Carvana get its cars? Carvana gets its cars from a variety of places. One of the places it gets cars is from trade-ins from their customers, if they are up to standards they can be resold. Does Carvana sell new cars? Carvana does not sell new cars, the company is exclusively online where it sells used cars only. All cars can be observed online through their patented 360 photo technology. Carvana is a legit company that does all its business without out dealerships in an online setting. It has a 7-day money back guarantee policy for all the cars it sells. Carvana is a good option if you are looking at buying a used car. The whole process can be done online which means there is no need to pay for a dealership. The company passes on the savings to the customers. Carvana is a trustworthy company in its industry and have many satisfied customers. If after buying a car from them, you have any issues you have 7 days to return the car for your money back. Carvana is based in Tempe, Arizona, but is has 11 car vending machines throughout the nation. There are vending machines in Florida, Nashville, San Antonio, Houston, Austin, Dallas, Raleigh, Jacksonville, Tampa and Charlotte. Carvana was founded as a subsidiary of Drive Time Automotive in 2012. Ernest Garcia II is currently the largest shareholder of Carvana. Carvana is a safe company to do business with. It has many satisfied customers that have left reviews online. There is a hundred- and fifty-point inspections process for every car it sells. Is Carvana only used cars? Carvana is only for used cars that it sells at its exclusively online dealerships. The used cars can be inspected online using their 360-photo technology. All the used cars that Carvana sells through their website are certified. The used cars also go through a one-hundred-and-fifty-point inspection. How long has Carvana been in business? Carvana has been in business for 6 years, which is not a long time but has been very successful do to their unique business model. Carvana offers financing for customers that are not able to buy the cars in one payment, there are many questions about this process that will be answered in this section. Does Carvana finance bad credit? Carvana does finance bad credit as it has no minimum credit score. However, to be financed customers must make at least $10,000 a year and not have bankruptcies. How does Carvana verify income? Carvana does verify income when you are being financed by them to buy one of their used cars. However, it does not have any minimum credit score needed to get financing. Does Carvana work with bad credit? Yes, Carvana works with bad credit or any other credit. You can get financing from them regardless of your credit score. Can you refinance with Carvana? A Carvana loan can be refinanced at any time if you can find are able to find someone to offer you a loan for a better price. Does Carvana report to credit bureaus? Carvana does report to all major credit bureaus once you have been financed. During the pre-approval process you will only be soft pulled for your credit, so it will not affect your score. How long does it take Carvana to verify income? Carvana can have your income verified, especially if you’re buying a more expensive car. It usually takes under a week to verify your income. Does Carvana check your credit? Carvana does check your credit, it does an initial soft credit check and later will do a hard one once financing is actually agreed upon. It has no minimum credit score for financing. Carvana has no haggle prices in place for the used cars they sell online. Carvana provides the prices this way to help make the car buying experience more pleasant. Who does Carvana use for financing? Carvana does its own financing, but it only finances the used cars it sells through its website. The financing is especially good for someone with bad credit. Is Carvana good for bad credit? Carvana is can be good for bad credit, as it will finance without any minimum credit score required and if all payments are made can help improve your credit. How does Carvana financing work? Carvana does its own financing and like everything else Carvana, it is done through their website making more convenient for their customers. What credit score does Carvana want for car loan? Carvana does its own financing where it does not require any minimum credit score to be financed for a car loan to purchase one of their used cars. How long does Carvana hold your credit application? Once the credit application has been filled out the terms will be valid for 45 days. The only reason they could change is if there was a change to your personal information or something could not be verified. What bank does Carvana use? Carvana does its own financing through Go Financing. The process is done online through their website where you also purchase your car. Does Carvana finance other dealers? Carvana does not finance other dealers. Carvana will online finance the cars it has sold to the customers through their website. How accurate is Carvana quote? Carvana quote is accurate as long as the information provided was accurate on their pre-approval process and nothing has changed since then. This section are questions from a variety of topics such as what is Carvana care, their delivery options and fees, test drive options and trade-ins. Does Carvana take trade ins? Carvana does take trade ins when purchasing a car or if you just want to sell your old car. They have no haggle pricing for buying or selling cars. How much does Carvana charge for delivery? Carvana offers free delivery for anyone living within one hundred miles from their vending machine, if you live further than that you will be charged dependent on the distance. How often does Carvana get new cars? Carvana can get new cars every day depending on how many they are able to buy or the trade ins that customers make with a purchase. What does purchase pending mean on Carvana? Purchase pending means that someone is in the process of buying that car and can still be listed online but is reserved for that person at the moment. What is Carvana on demand? Carvana on demand is a feature that lets you reserve inventory that has yet to be listed as its going through the process of being perfected and inspected. Carvana care is an extended warranty that you can purchase from Carvana for your car. It covers everything your manufacturer’s warranty covers. Should I buy a car from Carvana? Carvana is a good option if you’re looking to buy a used car. They offer a more pleasant experience as its all online and they offer no haggle prices. Carvana offers delivery and pick up options for their customers purchasing their used cars. There is free delivery for anyone living within a hundred miles of their vending machines. Does Carvana buy used cars? Carvana does buy used cars that are in good condition. They also offer trade-in discounts to customers looking to buy a car from them. How long does Carvana take to deliver? Carvana can have varying delivery times depending on where you live but can expect to wait about a week or two for your car. Does Carvana pricing include transportation? Carvana pricing separates the car price from the delivery fee. However, Carvana does offer free delivery if you live within one hundred miles of a vending machine. How to make a payment on my Carvana car? You can make a payment for your Carvana car online through the Bridgecrest payment portal. Your first payment will be due 30 days after the purchase. Is Carvana or CarMax better for trade in? You can get an estimate for both places but Carvana can offer you a quote without seeing it physically, only online and can pick it up from your doorstep. What does Carvana appraisal pending mean? Appraisal pending means that Carvana is still valuing the used car you have traded-in or are planning to sell to Carvana. What Carvana care does not cover? Carvana care does not cover cosmetic imperfections to the interior or exterior, replaceable/wearable parts, recommended maintenance, or aftermarket accessories. How much is Carvana care? The cost of Carvana care depends on the make and model of the car. The price can range from one thousand to several thousand dollars. Can I purchase Carvana’s car care after purchase? You can purchase Carvana care after you the purchase of your car during the 7-day money back guarantee period. Can you test drive Carvana? You can test drive your car for 7 days once it is purchased with the ability to return it within the time frame for your money back guaranteed. How to use Carvana coupon? To use a Carvana coupon you have to call Carvana and have the code ready, along with the name of the person who supplied it and their phone number. Carvana does not currently sell used motorcycles on their websites and there is no word if they plan to expand into selling them or stay exclusive to cars. How does Carvana make money? Carvana makes money by selling their used cars for a profit. Carvana has cutout the middle-man of the car dealerships so can be more profitable and offer better prices.